Congresswoman-elect Ayanna Pressley participated in a moderated discussion at the Institute where she previewed the issues she will be fighting for in the 116th Congress, shared insights from her longstanding commitment to community-based policy reform, and reflected on her most recent history-making campaign. This conversation was moderated by Shirley Leung, Interim Editorial Page Editor, The Boston Globe. 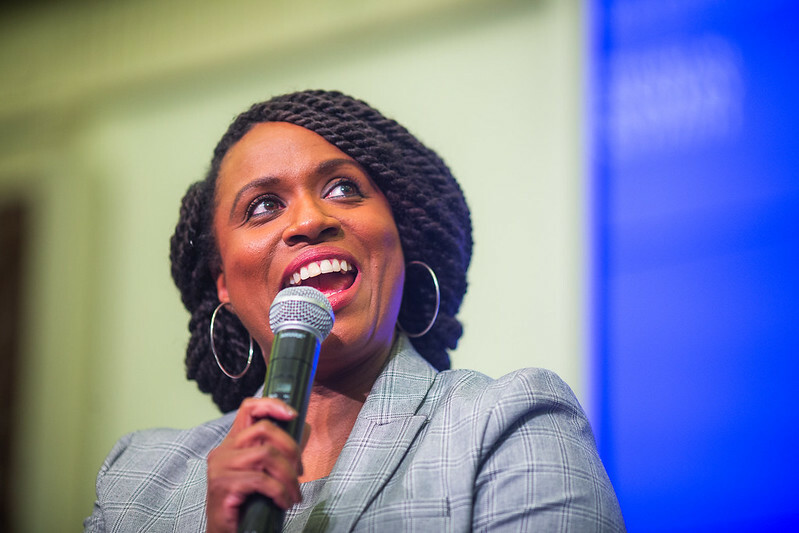 In a career marked by breaking new ground and bringing a new seat to the table, Ayanna Pressley made history on November 6, 2018 when voters in Massachusetts’s 7th Congressional District elected her to the U.S. House of Representatives, making her the first African-American woman who will represent the Commonwealth in Congress. Since 2010, she has been serving as a Boston City Councilor At-Large, after being the first woman of color elected to the Boston City Council in 2009. Her political career spans more than 18 years, including working as a Senior Aide for Congressman Joseph P. Kennedy II and Senator John Kerry.